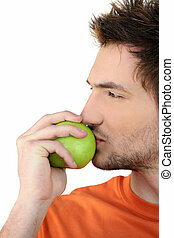 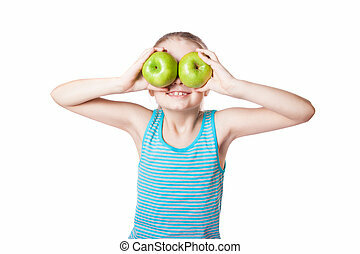 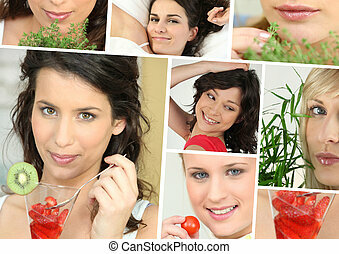 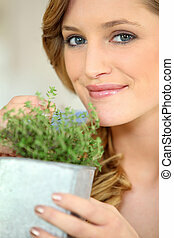 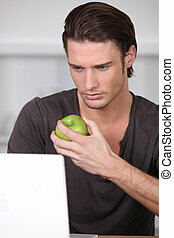 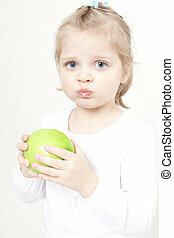 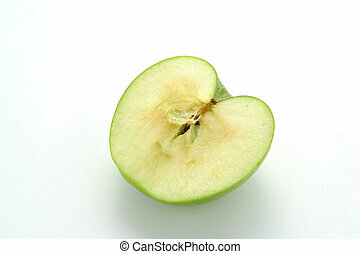 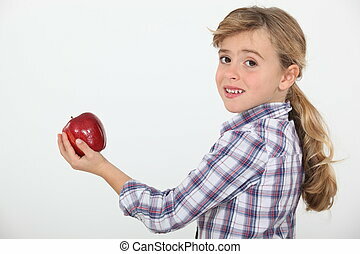 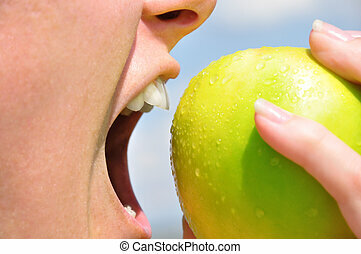 Girl eating a crisp green apple. 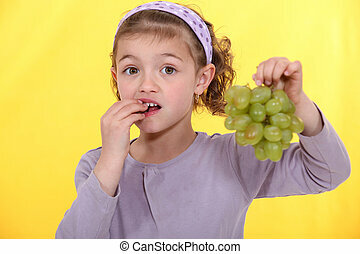 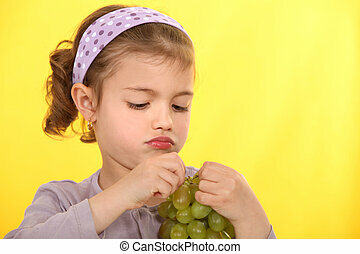 A little girl eating grapes. 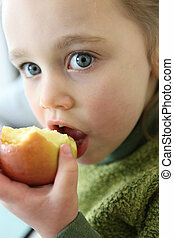 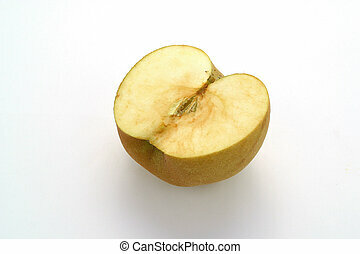 A pregnant woman eating an apple.